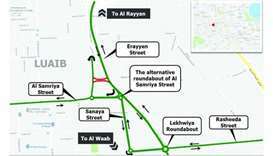 According to a communique, the diversion is aimed to enable the upgrade works on Bu Erayyen Street. 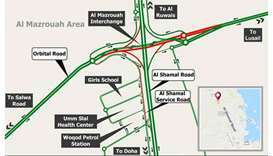 Ashghal has started implementing the first phase of the project, which is divided into five phases. 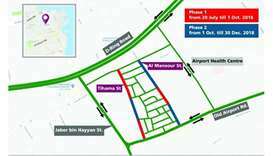 In order to implement the development works, Ashghal will close parts of Tihama and Al-Mansour streets in both directions. 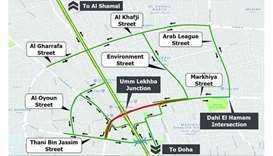 The diversion, which is being done in coordination with the General Directorate of Traffic, will start on Saturday. 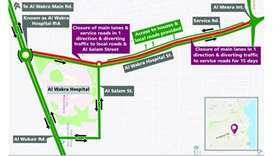 The diversion includes closing the main lanes of Al Wakra Hospital Street. 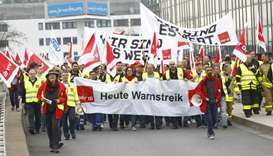 The EU on Thursday vowed not to limit air traffic controllers' right to strike, after Ryanair and IAG demanded action to end crippling stoppages that they say are bringing misery to hundreds of thousands of holidaymakers. 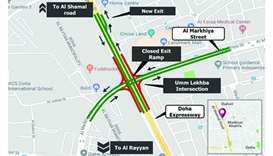 The closure is required to continue demolition of the existing pedestrian bridges on Umm Lekhba Interchange. 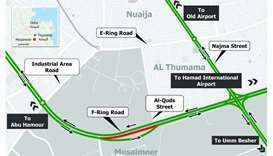 The Public Works Authority (Ashghal) has announced that a traffic change on F-Ring Road will take place to enable the construction of an interchange linking F-Ring Road with G-Ring Road. 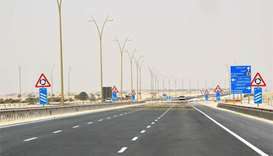 The Public Works Authority (Ashghal) has announced the completion of Phase 3 of the Rawdat Rashed Road Development Project, which is aimed at providing a "safe, highly developed road" to link Salwa Road with Dukhan Highway. 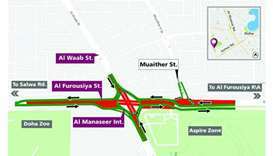 The exit slip road is to be opened a week after the closure. 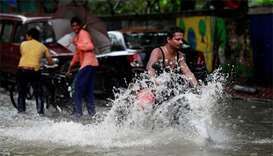 This is being done in co-ordination with the General Directorate of Traffic.